Ensure Every Business Process Works! The City of Anchorage’s $9.6M rollout of a new enterprise system that has cost $34M and is two years behind schedule. For every story that makes the news, there are probably hundreds and thousands of technology failures in enterprise applications - large and small - that never make the front page. The auto manufacturer that can’t move cars out of the factory because of a problem with an inventory management upgrade. The electronics giant that inadvertently re-labels all of their internal product codes. The electric utility whose systems woes cause the lowest customer satisfaction rankings in their industry. All true stories. Revenue Impact – Disruptions to websites, point of sales systems, customer-facing websites, and order handling can directly impact revenue and profits. Direct Cost Impact – This is the cost of identifying and repairing the software problem itself. Typically this will be only a tiny fraction of the overall business cost of disruption. Customer Impact – Customer loyalty is difficult to win, but easy to lose. How often have you had difficulty placing an order on a website – and never been back. Then there’s the cost of “making good” on any damage to customers or partners when a glitch happens. That can be substantial. Partner Impact – Your supply chain is intimately connected with others. For example, when you’re not shipping or manufacturing because of an internal software issue, then your partner’s shelves and lots can be empty. That can cause channel partners to look for alternatives. 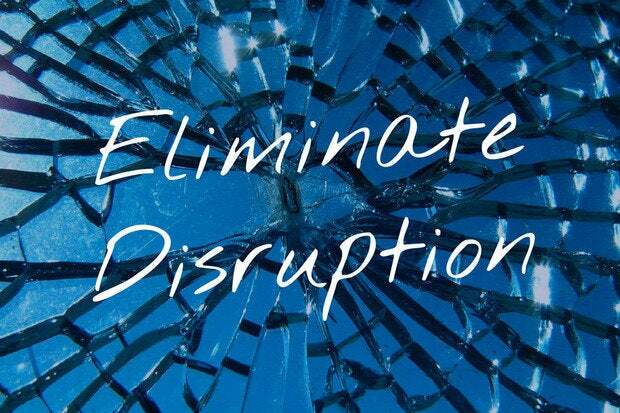 Reputational Impact – Disruptions can impact your company brand perception as a reliable, trusted business partner. Organizational Impact – Careers can be hurt, jobs terminated, and team morale can suffer when tech problems disrupt business. “Not on my watch.” For many CIOs, maintaining business continuity has become a high priority because introducing innovative digital technologies remains a top priority. Gartner says that there’s been more technology change in the last 3 years than in the prior 20 combined. In other words, CIOs need to be able to change a tire while rolling down the highway! For them, the integrity of the business process is vital – before, during, and after the innovation projects that are bringing new digital, cloud, mobile, big data, web, and other enterprise application updates into the organization. There’s only one way to ensure that every business process and enterprise app works like it should on your watch. Every one of them needs to be tested. The Answer: Check Everything. How often? Well, the frequency of testing needs to match the rate of change and digital transformation in your enterprise landscape. The point is that business process validation needs to happen at the same frequency to keep pace. If not, you’re exposed and falling behind. If new technology or updates are deployed monthly, you need to check all your interconnected business processes and enterprise apps monthly or better. If you have many technology projects, maybe it needs to be weekly. Some companies validate their core business processes Monday, Wednesday, and Friday. And if your enterprise relies heavily on hybrid cloud apps – where you don’t necessarily control the timing of changes (like Salesforce.com) – then maybe you need to perform daily validation. Same for companies that are handling 4,000 SAP transports per month. When companies don’t match the rate of change with the rate of testing, that’s what often causes news-making business disruptions – as well as the many that don’t make the news. If firms shortcut functional testing, or worse, deploy changes without testing anything at all, there is enormous risk to business continuity. Automation makes it possible. Obviously, if you are validating hundreds of core business processes every day, or testing thousands of business process steps every night, it can’t be done manually. Those days are over. Today, automation platforms have replaced manual labor with digital labor when it comes to automated functional testing and business process validation. Sure, it’s an investment in new work practices and some new automation software, but that’s small compared to a major disruption in business continuity. To some of the people we work with, it means confidence and iron-clad business execution. Others think of it as insurance or a safety net. But whatever you call it, these automation platforms let the CIO say, “Nothing’s going to happen on my watch,” and make it stick.